The integration of blockchain technology with ERP is a hot trend pursued by major vendors and developers. Swiss-based blockchain company SophiaTX has entered an exclusive partnership with emerging South African tech firm ArkTree, looking to disrupt the local enterprise resource planning (ERP) market. 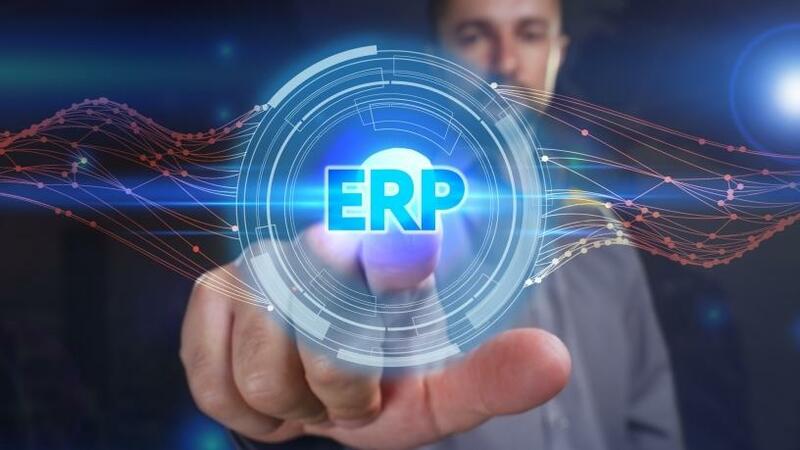 As SophiaTX's sole value-added reseller in SA, ArkTree will bring blockchain to the ERP domain, which is quickly gaining traction as a conduit to digital disruption worldwide. ArkTree specialises in management accounting solutions in SAP, making use of the Material Ledgers advanced actual costing functionality which encompasses detailed product costing, including the analysis between standard and actual cost at a cost component (lower than material) level. The company says inter-divisional transfer pricing and group costing are also available and the integration of other modules, starting from procurement and master data and ending with consolidations and analytics, all form part of this niche template. The integration of blockchain technology with ERP, customer relationship management and supply chain management business software is a hot trend pursued by major vendors and blockchain-oriented solution developers. IBM has indicated it is working with organisations to develop new business applications for blockchain. IBM's Oracle Enterprise applications team is working to integrate blockchain solutions with Oracle ERP cloud, to take advantage of the open network it provides. Oracle also recently rolled out a service that allows organisations to build blockchain networks to drive more secure and efficient transactions, and track goods through supply chains on a global scale. In September last year, SophiaTX announced the first open source platform to primarily integrate blockchain technology with SAP software, used by 87% of global businesses and 98% of the top 100 most-valued brands. "The experience in enterprise-grade information systems, combined with the ability to show clients how systems can be integrated with appropriate blockchain solutions to enhance the business value chain, offers these two companies a solid foundation in their partnership decision," says Sean Martin, MD of ArkTree. He explains the fact that the blockchain phenomenon is relatively new and unfamiliar leads it to scrutiny and resistance from the public. He attributes this to inadequate public knowledge about what blockchain is and how to unleash its full potential to transform and elevate the business world and beyond. According to Martin, the security of blockchain lies in the sheer decentralisation of the infrastructure, which allows for the storing of encrypted data across a wide network of computers simultaneously. The information stored in a blockchain can, therefore, not be altered, he notes, adding that in all its simplicity, such a safe and transparent platform is perfectly suited for tracing the movement of an asset across the value chain. Martin also highlights the impact that blockchain will have. As a potential base for a secure peer-to-peer transaction platform, he says blockchain will play a crucial role in future business. "Blockchain's transparency, stemming from the inability to alter data in the network, will lead to the reduction of fraud, while its simplicity will ultimately yield improved automation as well as more cost-effective data collection across the world." As a digital distributed ledger, he points out the technology is made for multiple industries within the supply chain, including agriculture, food, pharmaceuticals, beverages, retail, real estate, mining, and many other business value chains where traceability across complex supply chain networks is a high priority. "SophiaTX will bring a direct impact on the bottom line in a relatively short period of time for all businesses that seek better collaboration, exchange of information across industries, and an increase in competitiveness. SophiaTX is aimed at extending business applications such as SAP and also the integration of disruptive technologies such as IOT sensors, AI, robotics and several others," says Jaroslav Kacina, CEO of SophiaTX. "Our partnership will deliver scalable enterprise-grade blockchain solutions with service and performance required by businesses. Additionally, the solution offers appropriate levels of compliance; SophiaTX works jointly with the 'big four' advisory and audit firms to achieve required security standards and ISO certifications," adds Kacina.